The Naturmühle [Nature Mill of] Heinrich N. Clausen is a long-established traditional family business which specialises in the processing of organic grains. 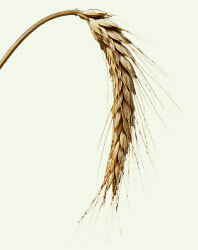 Exclusively organic grains are milled in the mill. The milling operation is certified in accordance with EU-Bio-VO 834/2007. Additional certifications are possible by mutual agreement. The product pallet includes all types of organic flours as well as organic baked whole grains. The Naturmühle Heinrich N. Clausen offers as special products, among others, organic wheat germs, edible organic wheat brans and edible organic rye brans. The production of milled products according to customer specifications is possible with a minimum batch size of two tons. In addition to the production of organic flours and organic baked whole grains, the Naturmühle Heinrich N. Clausen commercially sells organic milled by-products. They include mainly organic wheat bran and organic low-grade wheat flour as components for organic animal feed. The bran is pressed with an animal feed pellet press to produce pellets. With a grain storage capacity of 5,000 tons in silo cells, 5,000 tons in warehouses, two modern drying facilities as well as cleaning facilities, the collection and production of organic grains are done directly after the harvest. In addition to the purchasing and trading of organic grains, the production and storage of organic grains are offered for a fee.